Airports serve many other purposes – they handle cargo for imports and exports; provide landing ground for flights and more importantly they help to achieve economic growth of a region. Without airports, industries cannot flourish, receive tourists or provide connectivity to the world outside. Hence countries around the world concentrate on airport construction even in remote areas. They act as drivers of development and increase opportunities for tourism and hospitality related activities. Constructing an airport is an intricate process because it involves huge financial outlays in the initial airport construction process itself. Airport construction process starts with identifying a suitable land that is close to industrial hubs and places with major economic activities. The type of airport and the facilities that are provided at the airport are broadly dictated by the population size of the area, the size of the planes that will be utilizing the facility and the traffic it will handle. A few other considerations include safety considerations, seismic stability of the region and vulnerability to attack from enemy planes during times of war. For this reason, countries take into consideration the concerns expressed by its armed forces. Many airports around the world have two or even more airports for civilian purposes alone to disperse traffic and provide better services to them. Though airports principally serve as landing points for aircraft, the fact that they are considered as icons of pride and a symbol of progressiveness is undeniable. From a common user’s perspective airports should provide comfort, streamlined baggage handling system, automated parking for cars, dining facilities (restaurants), safety and easy access to city center. 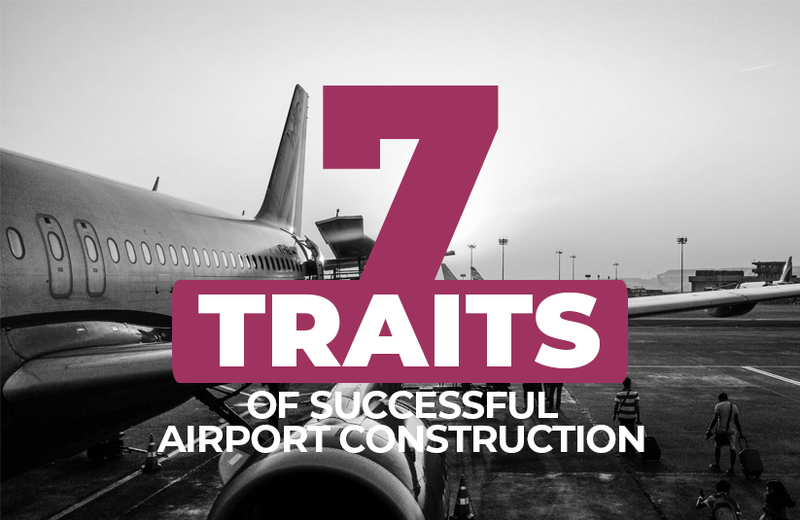 Here are a few traits that you will see in highly regarded airports. Top airports use pre-engineered steel for the building in place of concrete wherever possible. The use of pre-engineered steel is recommended for longer life span and good aesthetic appeal. They are quick to build and have fewer supporting pillars providing better room space for maneuvering within the complex. Highly rated airports place passenger comfort ahead of any other considerations. They provide more space for waiting halls; have multi-cuisine restaurants, free Wi-Fi connectivity, and ample space for ticketing, automated fast baggage clearance systems, and friendly courteous staff that will assist disabled passenger movement. The best airports around the world give top priority for passenger safety and the rich experience the moment they have driven into the airport premises. They are generally spacious, have automated steel multi-level parking lots for cars, parking-to-boarding transport and in some instances roads straight to the aircraft itself. Safety is top priority for airports that have earned a name for themselves. For top airports, safety doesn’t stop at frisking; it is more about preventing a terror attack. When airports provide foolproof security system s for passengers it is discouraging potential attackers. Airports that have high patronage are closer to the repairs city center or at least provide a fast-lane road to the city. As you can see, constructing an airport is not just about a great building but more importantly about providing top-class connectivity to other locations. Aesthetically designed airports provide a sense of pride not only to travelers but also to the host country. It is pertinent to note that first-time visitors to the country form a good or bad image about the country they are visiting just by looking at the airport – after all this is the first place to form an opinion. Great airports provide a sense of relief back from a long jaunt abroad. The eco-system, concern for environment and great looks all can enhance and provide a sense of relief. India is reputed to have some of the top commercial construction companies that even take up projects abroad. Indian construction companies majorly depend on travellers building manufacturers for their structural requirements. This is the reason why commercial construction companies often have a separate department for airport construction and repairing. India is home to some of the top airport construction companies around the world and ISB infrastructure be being one among.